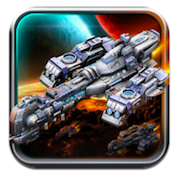 Space Settlers iPhone Game Review: RTS with Mechs! Space Settlers is an iPhone game developed by Han Zhicai. 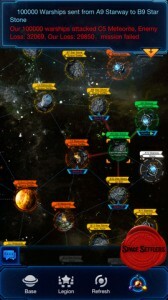 This online game is perfect for iPhone users looking for a multi-player game experience. This cool-looking sci-fi title blends mecha combat and real-time strategy. The story that sets up the game is pretty cool. Stephen Hawking, linked his brain with the most powerful computer in the world, proving that the God Particle had been around for 13 billion years. This, in turn, opened a time gate. Hawking predicted that dark energy existed in the form of crystals at the infancy of the universe. 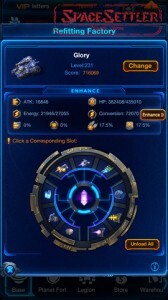 These “Dark Energy Crystals” are the energy source that drives the game, which is set many years in the future. It can all be a bit overwhelming at first, but there’s a pretty solid in-game tutorial to walk you through things. In Space Settlers, there are 25 different mech options to experiment with, plus over 100 customizing options for your “mecha” chariots. Space Settlers is still on version 1.0, so it seems likely that customization options will improve in future updates. There’s a great social element present here. Each player can build friend groups, and invite their friends to team-up and defend a fort. There’s a solid chat system, paired with the ability to send in-game items as gifts to your friends. Speaking of in-game events, it’s worth mentioning that 20 Dark Energy Crystals will cost you $1.99. There are a few minor technical issues that can be a bit annoying. For example, some of the dialog screens are partially blocked by character avatars. Some of the language used in the game is a bit hard to understand, and the next version would benefit from a grammar and syntax cleanup. If you dig war games and real-time strategy, Space Settlers is definitely worth checking out. The price is definitely right, and the graphics are stupendous. 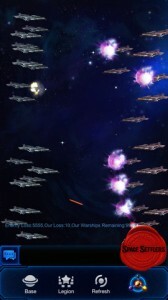 Space Settlersis compatible with iPhone 3GS, iPhone 4, iPhone 4S, iPhone 5, iPod touch (3rd generation), iPod touch (4th generation), iPod touch (5th generation) and iPad. Requires iOS 4.3 or later. This app is optimized for iPhone 5.